Praying for vocations is the most powerful way to support God's call to religious life. A vocation is a call from the Holy Spirit, a gift from God that is nurtured through prayer. When we pray for vocations, we lift up to our Father those men and women He is calling in a very special way. We hope that those who bring the cup home will continue to pray for vocations daily. The purpose of the Elijah Cup, a chalice, used during the Consecration of the Mass, is to provide a focal point for prayer. We are all aware of the need for vocations to the priesthood, the permanent diaconate and to the religious life. But sometimes we forget just how powerful praying for an increase in vocations can be. If we pray with the faith of the widow of Zarapeth, our cup will never run dry! 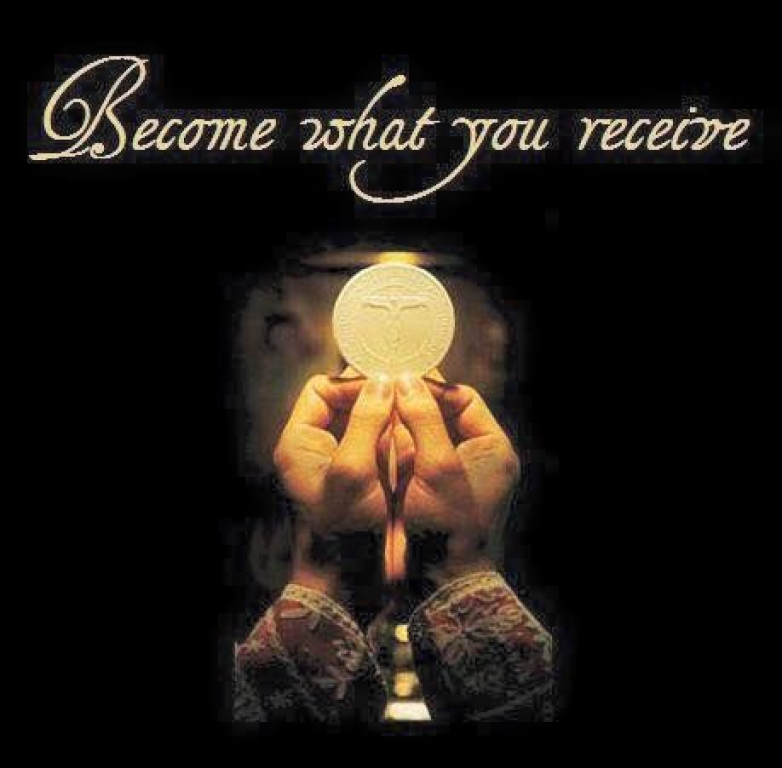 We will always have priests to bring us Jesus in the Eucharist. In 1 Kings 17, during a drought, Elijah tells the poor widow of Zarapeth that if she makes him a small loaf of bread with the last of her flour and oil, her "jar of flour will not go empty, nor the jug of oil run dry, until the Lord sends rain upon the earth." In faith, the widow baked the bread and fed Elijah. For the next year, the widow, her son, and Elijah ate bread made from the bowl of flour and jug of oil. Each week, families have the opportunity to bring into their homes a chalice that has held the Consecrated Blood of our Lord Jesus Christ into their homes. The Elijah Cup serves as a focal point encouraging family prayer for religious vocations, for seminarians and for our serving religious. It is a powerful presence and inspires prayer from adults and children alike. Interested families or individuals should contact one of our coordinators to schedule a weekend Mass to take the Elijah Cup home. At the end of Mass, the Elijah Cup will be presented to the family by a Deacon or Priest. The family will then take the cup home, putting it in a place of honor. Each day for a week, during prayer time (morning, bedtime or at meals), the family will pray for an increase and perseverance of vocations. The Elijah Cup should be brought back to the parish office on Friday before 4 p.m.
Stacie Waddell at sdcwaddell@gmail.com or 678-634-7484 or Sherri Molezion at 770-605-0104.